Now we come to the thorny subject of sharpening. I am going to tell you how I use Japanese waterstones and why I do certain things. I cannot say that this is the correct way, but it is a way that I have developed over the last 25 years and works for me. The process is messy, but it is relatively cheap and because it is slow there is no danger of losing the temper of the steel. It the easiest and cheapest way of honing at 1.5 microns. Even if you use diamond plates, so you have no issues with flattening the stones, you will find it hard to beat the final polish that an 8,000 or 10,000-grit waterstone gives. There are two types of Japanese waterstones, the ones you can afford and the ones you cannot. The ones you cannot are the natural stones called tennen-toishi. 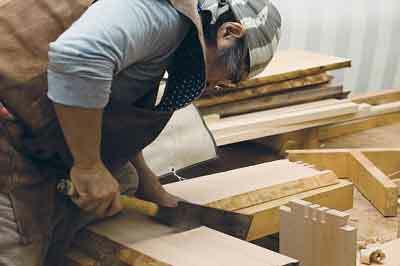 My contact in Japan, Masahiko Hosokawa, who studied at West Dean College, Chichester when I was teaching there and who has helped me with these articles, says that in Japan Miyadaiku who are working on shrines and temples have to use special professional tools to make it accurate and without mistake. 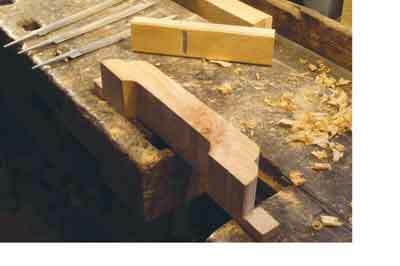 Some people pay over 1,000,000 yen, around 7,500 pounds, to buy natural toishi for their special blade. They use a few hours to sharpen a blade after work. 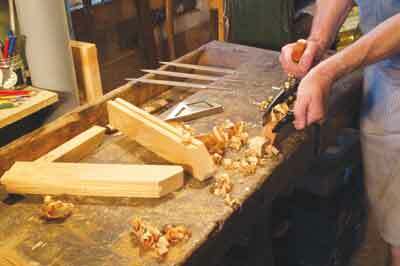 Normal woodworkers uses manmade toishi. Any teacher, whether in the UK, Japan or elsewhere, would love to have students who care that much about their sharpening that they are prepared to spend hours after work doing it. In Japan they call it a spiritual discipline, over here we just call it discipline but I believe that acknowledging the need for a spiritual element to your activities adds a mysterious extra something to your work. I shall assume that you have manmade waterstones in the Japanese style. I phrase it like that because some stones are made in America, some in Japan. One of the great advantages of coarse Japanese stones is that they cut very quickly without producing much heat, so when thinking about a sharpening system a coarse stone which will not draw the temper of a blade is an essential. I recommend students to buy a 250-grit stone. 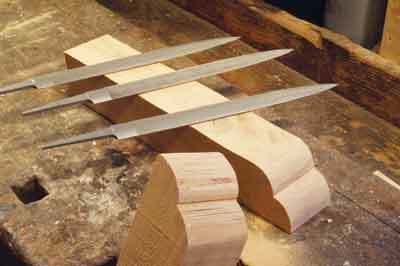 The disadvantage of a 250-grit stone is that although it cuts the steel of the blade very quickly it also goes out of shape very quickly. 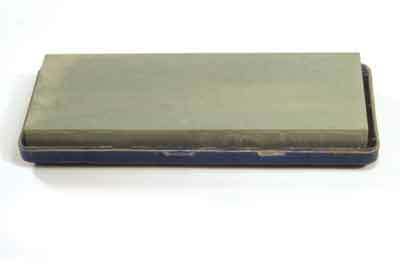 It is vital to have a method of flattening and checking for flatness of waterstones. A dished stone will ruin your tools so never use one. 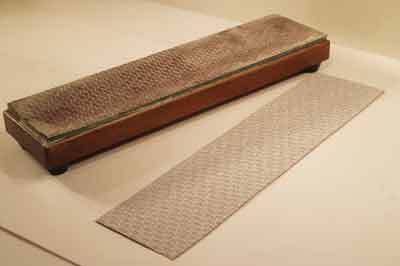 You can buy a little stone-flattening table, called a men-noashi-ki. 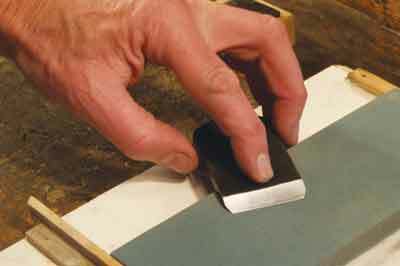 You can also make your own, and use 80-grit wet and dry paper. The bought one comes with water-resistant abrasive sheets and replacements are available. 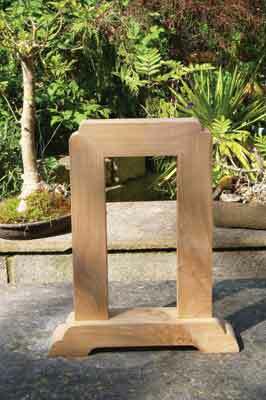 In use the stones can be held in a purpose-made holder, or you can do as I do and sit them on a small board. I like to ensure that there is nothing flexible under the stone, so I am slightly sceptical about rubber holders. Equally I am tight with money and just have not bought one when an offcut will do. Check that the stone is flat in all axes. 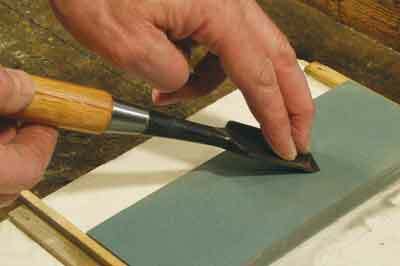 If it not flat then dip it in a trough of water and rub on the abrasive paper, turning it through 180 degrees every 10 strokes or so. When ready dry off and check again. Using a pencil to hatch the surface as David Charlesworth suggests is a good idea. 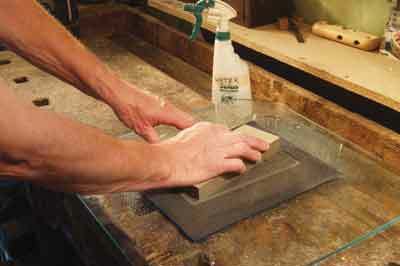 Once the stone is flat you can use it for fast cutting of the back or the bevel. 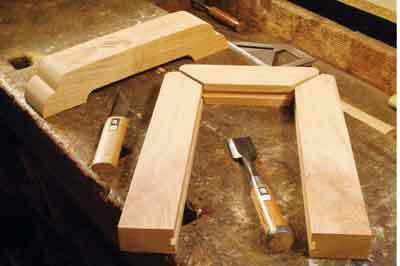 As usual do not rock the tool so that the front edge does not become rounded. 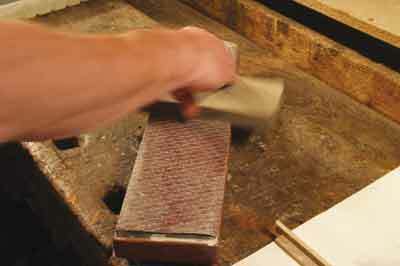 Once the coarse grinding is complete, more easily written than actually done, move on to a finer stone. Keep moving to a finer stone until a polish is achieved. 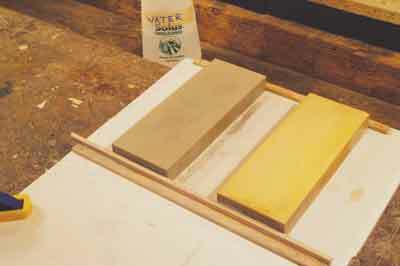 At each stage check that the stone you are using has removed all the scratch marks of the previous stone. 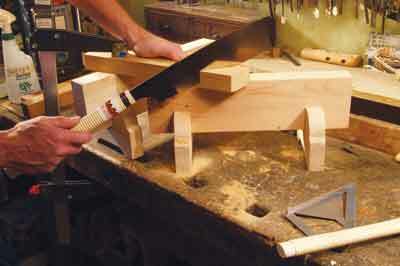 One way of doing that when lapping the back is to end each session by moving the tool in a circular fashion. Use a magnifying glass to check for the circular grind marks then move on to the next stone. Go through the normal procedure with that stone and then use the magnifier again. If you can still see any of the circular grind marks from the previous stone you must keep going with the present stone. Only when all the previous stone marks have gone can you change up to a new and finer stone. Remember to keep checking the stone for hollowing. 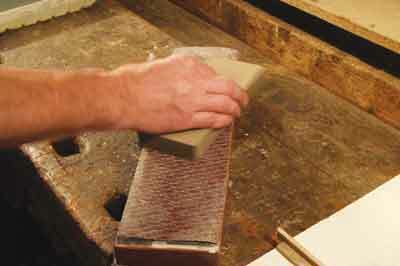 Turning the stone around and using other places on the surface helps prolong the time between each flattening. After a while this turning, checking and flattening becomes second nature. 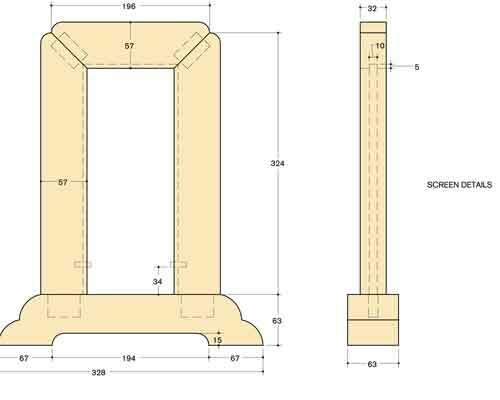 It is much easier when working on the bevel to see the effect of each grade of stone, but do still use a magnifier to examine the edge for condition. You can use your fingers to detect a wire edge that will tell you that the grind has reached the front of the bevel and it is time to turn the tool over and remove the wire edge. This is when I start counting. If 20 strokes produce a wire edge on one side, only do 18 strokes on the other side to remove it, then do 15 strokes one side and 12 the other, then eight then five then three and you can probably stop. Sounds fussy, but it works. If you keep doing the same number of strokes each side you will just be moving the wire edge from one side to the other. There are other techniques for removing the wire edge, but that is the one I use. 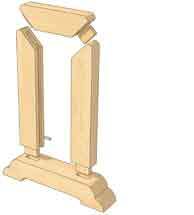 Small screens with decorative inserts for placing on tables or shelves are typical Japanese ornaments. 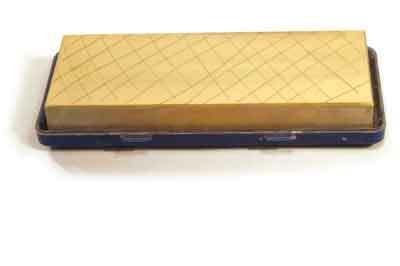 The insert might be lacquer, ivory or mother-of-pearl inlay, or just a simple natural polished mokume, wood grain, timber panel. Sizes vary but 12in high would be reasonable although I have seen them as low as 8in and as high as 24in. The widths would be in proportion. You will notice that I have chosen to use pieces with drying fissures around knots in them. This is because I like natural features in the timber, as do the Japanese. 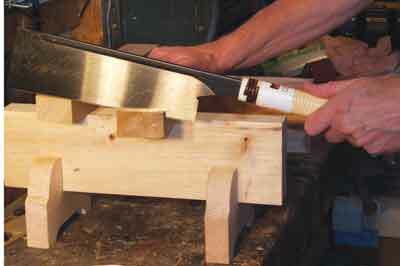 As I seasoned this cherry myself I am confident about its stability, but even if it were to split such that it were unusable all I would have to do is to make another foot. 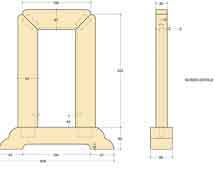 Now that may seem very inefficient but the oriental ethos is that it is the process that is important as well as the end product. 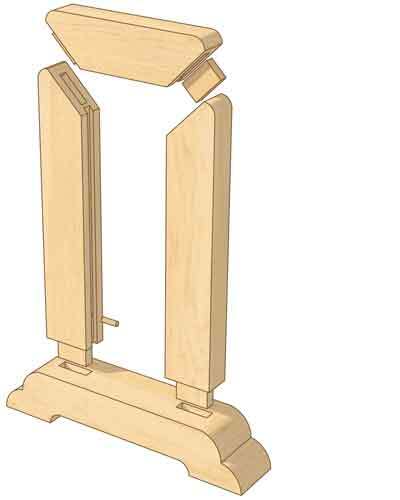 As I enjoy woodwork so would get more enjoyment from making another foot. 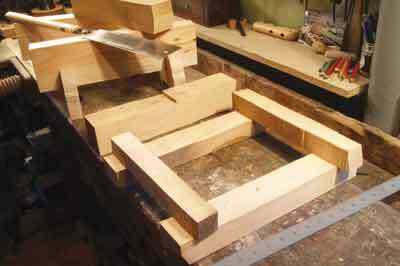 Whether I have to make two, four or six feet is literally immaterial because I just enjoy the doing. 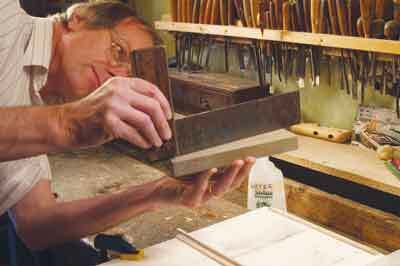 Michael will be giving a masterclass on Japanese tools at Westonbirt during the Festival of the Tree from 27-30 August, 2010.